Mr. Bigley is one of the original shareholders of Strategic Wealth Management Group. He has 29 years’ experience in the financial services industry primarily providing investment advisory services to retirement plans and individual clients. 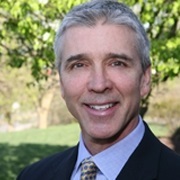 Prior to founding Strategic Wealth Management Group he provided consulting services for clients at Mid Atlantic Capital Group, a diversified financial services company which includes Mid Atlantic Capital Corporation (MACC), a FINRA registered broker-dealer, and Mid Atlantic Financial Management, Inc.(MAFM), an SEC registered investment adviser. He is a licensed representative of MACC and an associated person of MAFM. He began his professional career with Arthur Andersen LLP. While at Andersen, Mr. Bigley obtained valuable experience within the firm’s audit and emerging growth company divisions working with clients in the financial services area. He earned a Bachelor of Science degree in Business/Accounting from the Pennsylvania State University. Mr. Bigley resides with his family in Peters Township and has been actively involved in charitable activities primarily dealing with the welfare of children and families.